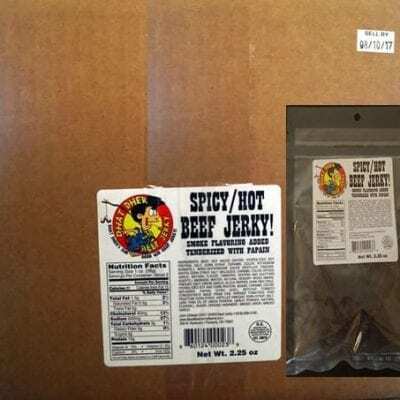 Commercially packaged original flavor beef jerky. Each case has 48 – 2.25 oz packages. Two flavors for commercial vendors: Original and Spicy Hot. Each case has 48 – 2.25 oz packages. 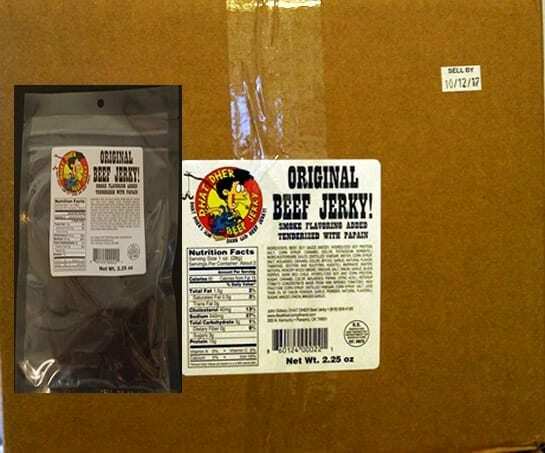 Our commercially packaged product meets the same taste standards as any of our Beef Jerky products.